We invite you to participate and become part of the several activities that are carried out in many locations of the region of Cusco. This ceremony its been taken by the inhabitants of the highlands of Perú (Andes) across the whole month of August. This tradition has been carried out by many many years ago and in this way, it becomes an ancestral celebration. 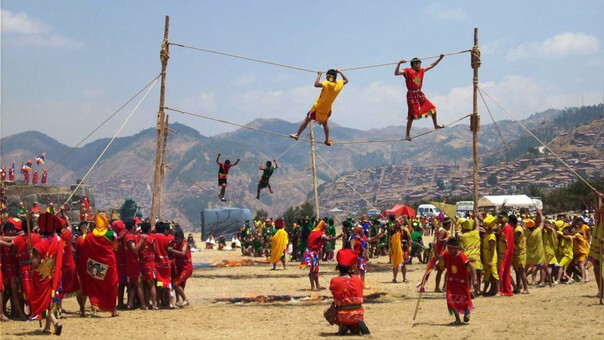 This celebration takes places in an ancient town of Urquillos that is part of the Huayllabamba district in the Inca´s Sacred Valley, surrounded by Inca´s farming terraces that are still in use. During their route, Nuestra Señora de Los Angeles leaves the chapel followed by several ensembles of dancers, many of them are from the same town and other come from farthest locations. This celebration its been carried out by the carriers or shippers, all of this is followed by dances, musical ensembles, and many other things. This celebration takes places in the main yard in front of the San Cristobal Church that has an impressive view of the whole city of Cusco and the celebration it´s performed in the middle of cultural and religious activities, handmade and gastronomic fairs. 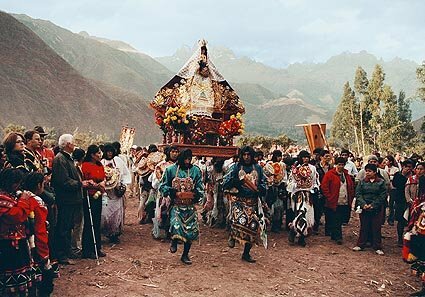 The most important religious celebration in Calca, also known as 'Mamacha Asunta', in this festivity we can find many dances that in many cases can be very funny to see. Several groups of tourists both domestic and foreign came to this locality to become part of this massive celebration. Also known as the San Bartolome Saint, this traditionalists celebration where people dance and sing in accord to the rhythms of the 'Bandurria' and 'Quenas' that are part of the native musical instruments; we can see the biggest celebrations for this important date in the District of Tinta from 22 to 26 of August. Festivity in honor of the most important saint in America and Philipines, in this celebration, participates the national Police department of Perú, military authorities, as well as the Public Prosecutor and many other high levels authorities that recognized in Santa Rosa their main symbol of faith. This festivity begins on August 29, with a traditional entrance called 'flowers entrance' which starts in the San Francisco Square heading to the Almudena square and chapel; on the main day we can see musical ensembles as well as many traditional dances, food, drinks and much more people that go alongside the Holy Lady across their route. 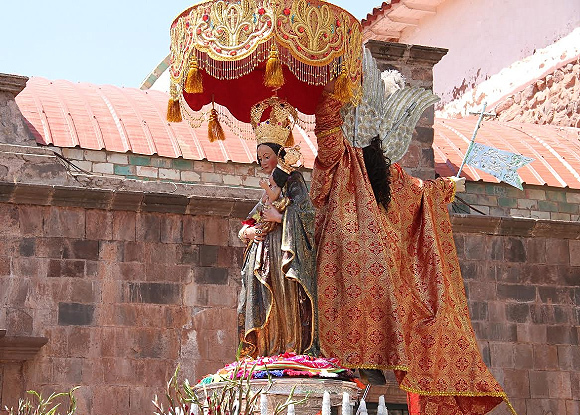 The image of the Señor de Huanca (Lord of Huanca) it´s the image of Jesus Christ tormented that causes a massive reaction of love and devotion amongst the Catholics in Cusco and whole Perú. Located in the San Salvador district, each year receives thousands of peregrines from all over the world, in many cases some of them decide to reach this sanctuary by the pedestrian path, that is 48 kilometers long, all of this with the motivation of pay tribute to this sacred and venerated image. 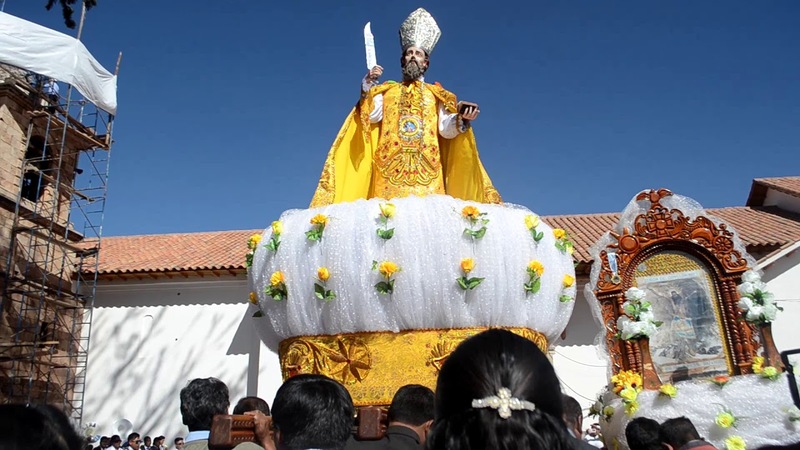 Celebrated each year, in such a way that the visitors came from all the districts that are part of the province, it´s very appreciated and loved by the inhabitants of the place as well as Cusco. Performed by the students of the famous Ciencias College of Cusco. It´s traditional ritual from the Andes region, emulating an ancient tradition of the Inca´s time, where the youngest males of the royalty needed to prove their bravery and courage passing through physical tests know with the name of 'Waras'; overcoming this probe means to become in an adult with maturity and attitude to be recognized by its peers as formal citizens. Religious festivity celebrated with many dance contests, music festivals, artistic exhibitions, gastronomic fairs and much more. The 'Tanta Raymi' or bread celebration takes place each year in the locality of Oropesa far away from Cusco about 45 minutes, this place it well-know by his ancient bread tradition, for this reason, we can find numerous wood-burning oven preparing and making bread of an incredible variety of sizes, textures, flavors and more during the whole year. In this celebration all the masters of bread preparation make competition to see which of them can obtain the best product ever. For this reason, this celebrations brings visitors from all over Perú and many other places, that came to this place to taste and get delighted by the originality of the costume.